So probably no lockup attempt (as in the earlier logs) due to the throttle variation. Willing to try for another log? I just confirmed with Freessm that there are no ECU or TCU codes stored. That confirms that Torque can clear TCU codes and that no TCU codes were present during last run. The last run was on an undulating road with a few sweeping corners. The previous was virtually flat. I'll get another flat run tomorrow. I've tried to get a log file a couple of times unsucessfully on flat terrain and only the column headings were recorded in the .csv. I'll have to try again. However, CEL did come on. I'll be very interested to hear what you have to say about these two logs. Both were made over the same stretch of mostly flat road as used previously but in opposite directions (out and back). In both cases the CEL did not come on. P0741 from two days ago was cleared before logging and I'd driven about 10 miles before commencement of logs. romraiderlog_20190124_145044.zip shows L/U current rising to 0.5765 and pressure to 89.92 before going to zero. This was the 'out' run. I see the ratio of turbine speed to engine speed was approx. 1:2 so I suppose that means lock up did not occur. Strange that the Diagnosis Lamp did not go on, however, as it had done in a previous log (romraiderlog_20190118_135554.zip) over the same stretch of road. romraiderlog_20190124_145604.zip shows zero for both current and pressure even at speed of 55 mph. This was the back run. It looks as though no attempt was made to achieve lockup. As I write this, I realize I did not turn off the engine between the two runs so I guess that once lockup was not achieved on the out run it didn't attempt it on the back run. After getting logs on undulating and flat roads, with never any lockup, it seems that the setting of the P0171 code is somewhat intermittent. In all cases the car drove well with smooth shifts. I wonder if its possible to disable the check in the TCU so the CEL doesn't come on. I'll be very interested to hear what you have to say about these two logs. Both were made over the same stretch of mostly flat road as used previously but in opposite directions (out and back). In both cases the CEL did not come on. P0171 from two days ago was cleared before logging and I'd driven about 10 miles before commencement of logs. 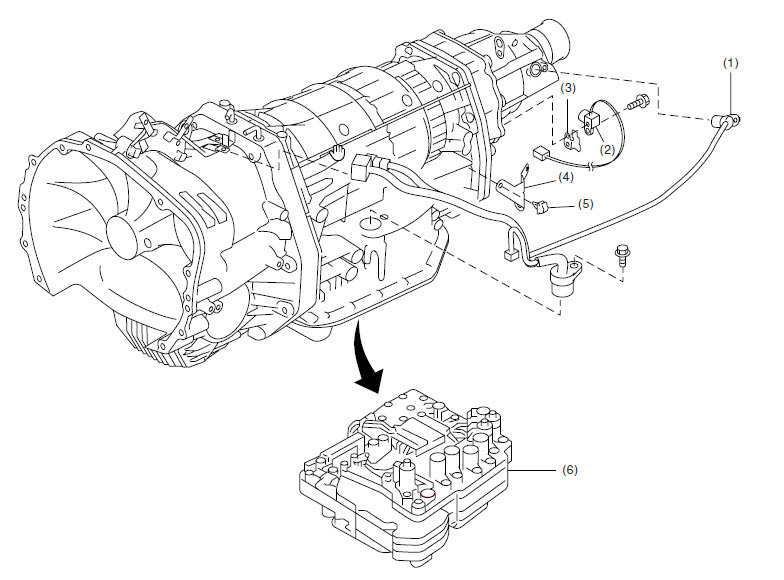 In some Subaru FSM's, the Diagnostic section for the Engine [( "ENGINE (DIAGNOSTICS) EN(H4DOTC)(diag)"] includes a sub-section entitled General Description. This contains a list of all the trouble codes, and detailed descriptions of the detecting criteria used for each code, i.e., what test the OBD does, under what conditions, what comprises a "no good" finding, and how many such findings are needed to set a code and trigger a warning light. ["Diagnostic Trouble Code (DTC) Detecting Criteria"] Unfortunately, the same detecting criteria information isn't available for the automatic transmission codes. In light of this, I too am not sure why the diagnosis light did not come on. 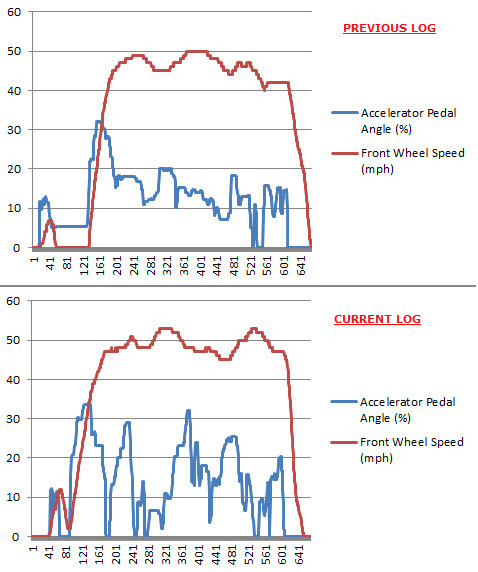 Again, it appears the L/U function was shut down, presumably based on the difference between the engine and turbine speeds, i.e., L/U was not being approached, let alone achieved, while the clutch apply pressure was supposed to be high. Perhaps on a subsequent drive the light will appear. In any event, it's likely either the control (valve) system is malfunctioning, or the lockup clutch itself (mechanically) is not working. I don't think the TCM OBD test for the P0741 can be readily disabled. However, others with more detailed knowledge of the (software) system might have ideas. I'm putting the car up for sale. I will advise potential buyer of lack of lock-up of course. Thank you for your help. I hope this thread may be of use to others experiencing a P0741 code. Well, I'm back again after having no success in selling the car. I am now wondering if I drop the transmission pan and remove the lock-up solenoid if there is any chance that I could repair it. Does anyone have experience of this? I guess it could be worth a try. However, as the original valve body has to come out to replace the solenoid (the solenoids are not accessible with only the pan removed), and because of the uncertainty regarding where the fault originates (could be in other parts of the valve body), it might be just as well to replace the whole valve body, as others have done. Thanks. I was under the impression that the solenoids were accessible with the pan removed. Maybe that was on an earlier model. Yes, the 4-speed AT has most of the solenoids on the bottom (the line pressure solenoid is horizontal). For the 5AT, see attached.